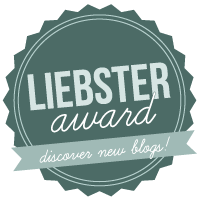 My friend Lia nominated me in her Liebster Award post. I don’t usually do these, mostly because I am super forgetful. But I’m sitting at work right now with not much to do, and I decided to schedule a few blog posts for this weekend so I can enjoy the fine art of doing nothing for FOUR DAYS. I will be playing video games and watching as much Dr. Who as my husband will put up with. I am a super huge dork, obsessed with Firefly, Star Wars, Dr. Who, Star Trek, pretty much anything in that genre. I get maybe a little too excited about these sorts of things. When I was a kid I was obsessed with archery. I would make bows out of sticks and string and shoot pointy sticks at my brothers. I always wanted to be amazing at archery, but when I finally got a chance to use a real bow, I shot myself in the finger. I never like chocolate until I was pregnant with Juniper and I had to have it everyday. It was really weird for me to actually want chocolate, but the habit has stuck and now I love the stuff. Sometimes I wish I could be a stay-at-home mom again, but then I remember how much easier it is to work full time. Staying home is WAY more work! I love books but I hardly ever have time to read. When I do start a book though, I usually can’t put it down until it is finished. Which means I can’t do anything else for a day or two. I would LOVE to go for a ride in a hot air balloon. I have a million great ideas for decorating our house, but I’m too lazy to do any of them. I love the challenge of finding the perfect gift for people. I love jalepeno flavored things, but can’t just eat jalepenos, they are too hot. I love going to CT to visit my family. As much as I love where we live, I really miss being close to all of my brothers and sisters. I also really want to go back to FL to visit our old friends. I’ve never gone on a “destination vacation”, it’s always to visit people. I want to go to some random exotic place someday. That would be an adventure. 2. Best food you’ve ever had? This is not a question that can be answered in one blog post! I love food. Lots of food. 4. The book that made you cry the most? 5. The movie that made you laugh the hardest? I love cheesy Kung Fu movies like Shaolin Soccer and Kung Fu Hustle. Also, Spinal Tap is pretty dang funny. The movie Shamus with Burt Reynolds makes me laugh pretty hard, but not because it’s a funny movie. That’s a story for another day. I don’t usually sing in the shower, but I DO sing quite loudly in the car. (Pat Benatar – ‘We Belong’ is a favorite.) My husband and I sing like crazy when we drive together, someday our kids are going to be so embarrassed. 7. Weirdest talent you have? I can touch my nose with my tongue, but that’s not really so weird. 8. First thing you do when you get home? Get trampled by the two minis and answer my husband’s “So, what’s for dinner?” question while attempting to fight my way to the couch to sit down for a minute before cooking and cleaning and getting the kids ready for bed. Then I die. 9. Christmas present you’re hoping to get this year? I have lots of things on my Amazon wishlist, or any of these craft books would be great. But I really isn’t anything particular that I’m hoping to get this year. I wouldn’t even mind not getting anything. 10. First book character you ever fell in love with? I love everything about Christmas. But Thanksgiving is also pretty fantastic. November 22, 2012 in Life.